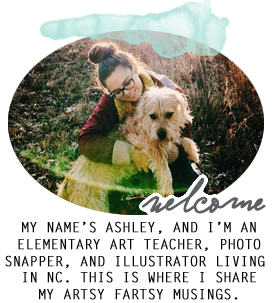 It's time for my first classroom update of the year! 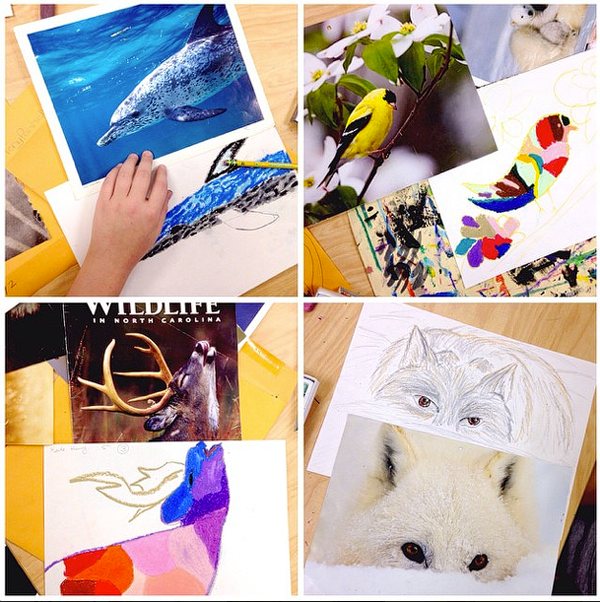 5th grade has been comparing realistic and abstract art by studying the art of Franz Marc and Henri Rousseau. 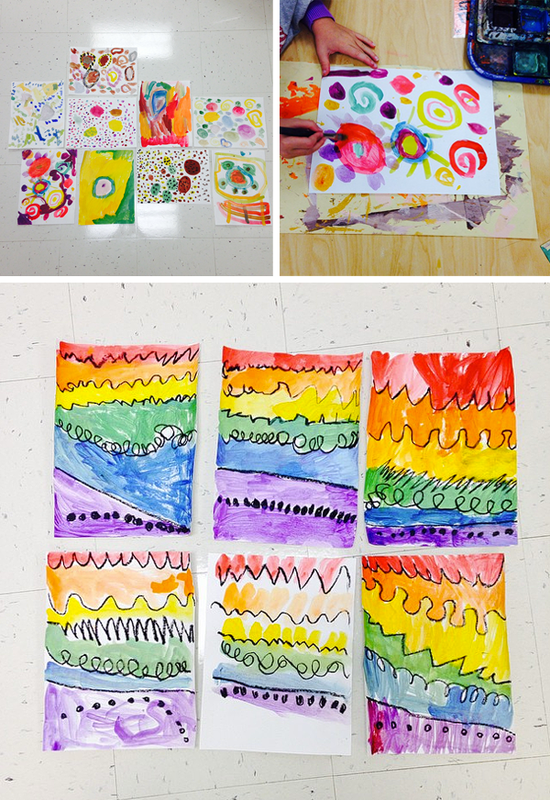 They are creating their own realistic or abstract oil pastel drawings. 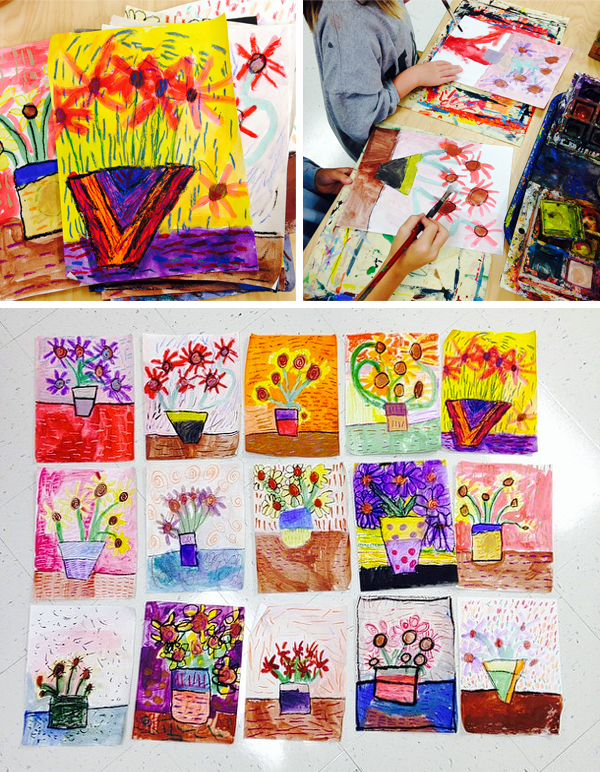 4th grade just finished studying Henri Matisse's collage art. 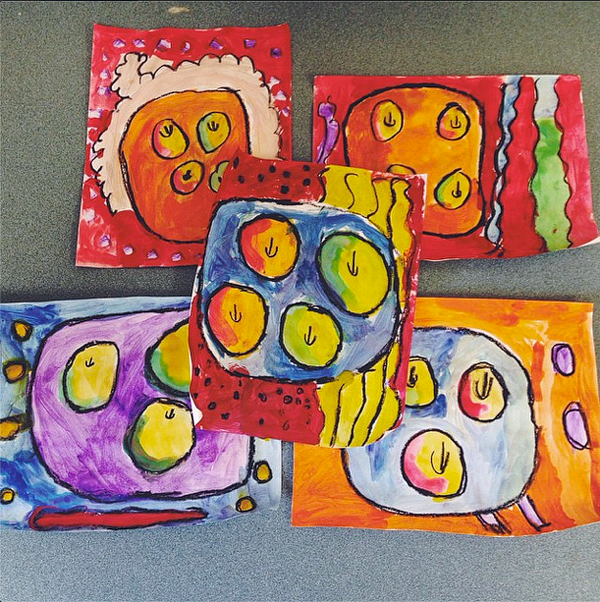 They learned about geometric and organic shapes while creating their own unique collages. 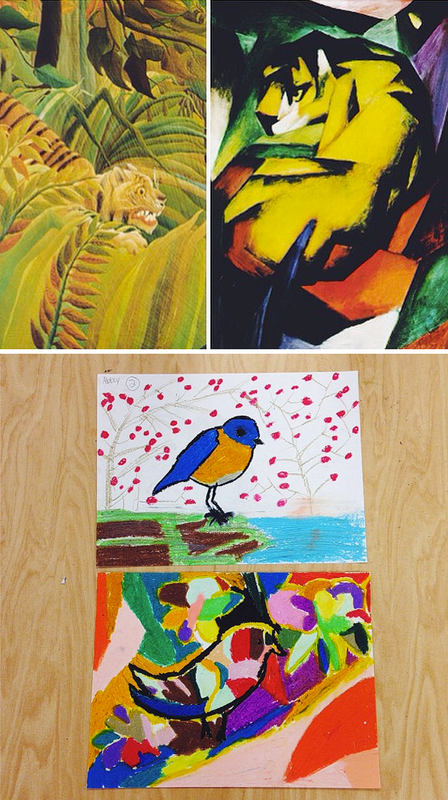 3rd grade also learned about Henri Rousseau, and they are creating their own jungle drawings while they learn about foreground, middle ground, and background. 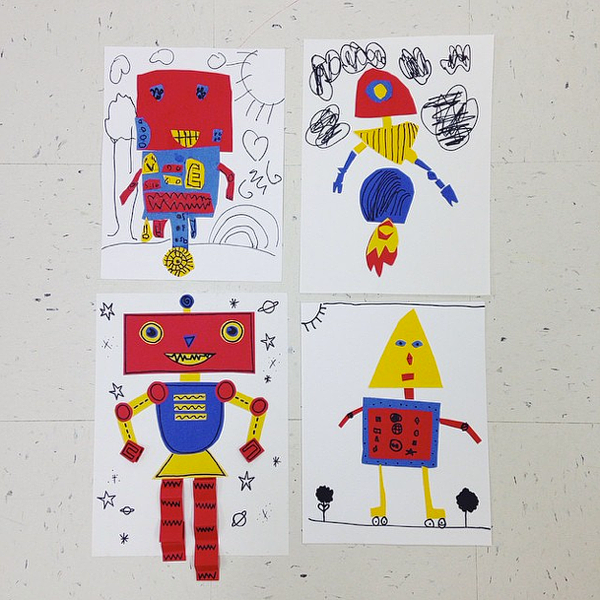 2nd grade reviewed some shapes and color theory while creating their own primary color robot collages. 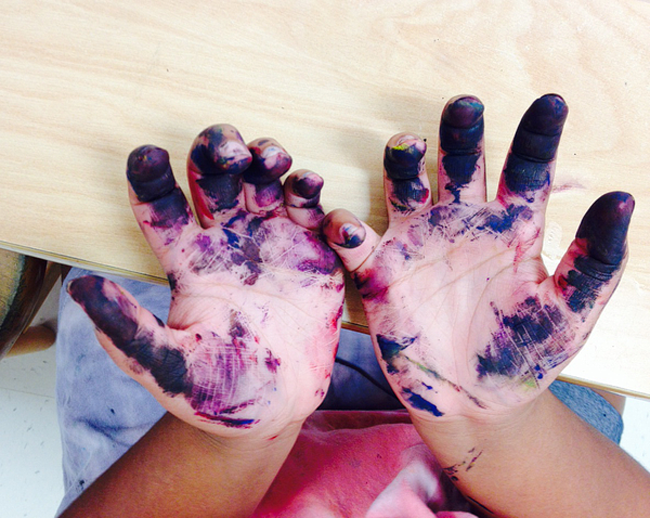 Kindergarten learned all about painting in the art room when we read The Dot and painted their own dots. We also just finished learning about types of lines and reviewing our rainbow colors.